Global miner Rio Tinto (ASX, LON:RIO) is said to be once again chasing a $5bn stake in Chile’s Chemical and Mining Society (SQM), the world's largest lithium producer, following the resolution of a long-dragged dispute between the company and the country’s government over royalties in Salar de Atacama. The deal between SQM and Chile’s development agency Corfo, reached last month, freed the lithium producer to apply for an increase in its output quota amid a demand boom and surging prices for the white metal, used in the batteries that power electric vehicles. According to local paper Diario Financiero (in Spanish) Rio’s renewed interest in SQM is welcome by the Chilean government, which had expressed concerns about a potential and dangerous concentration in the market should major lithium producers, such as China’s Tianqi, acquire the 32% interest in SQM. 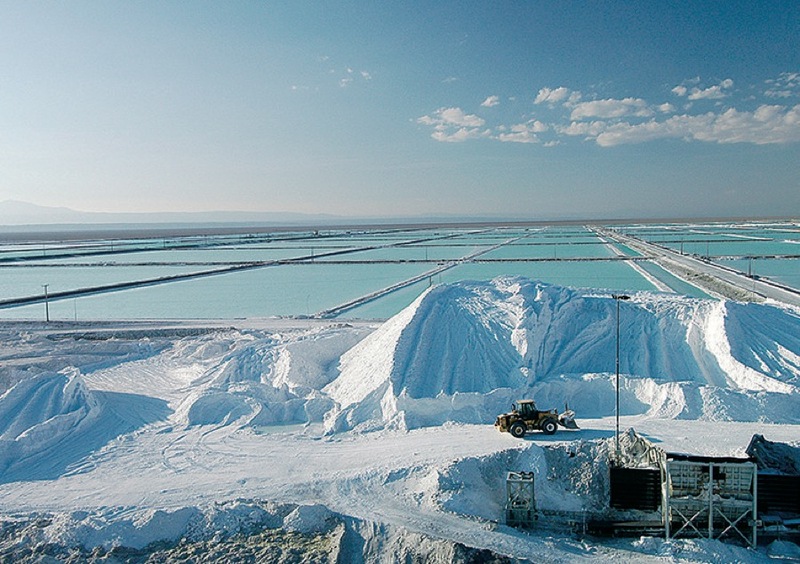 Rio Tinto's incursion in the lithium market is currently limited to a project in Jadar, Serbia, which is still in the early stages of development. Nutrien (TSX:NTR), born from the recent merger between Potash Corp. and Agrium, has to sale its interest in SQM by April 2019, as part of the condition of the merger last year between PotashCorp and Agrium that created the company. US chemical company Albemarle Corporation (NYSE:ALB), the only firm other than SQM currently allowed to mine the white metal in the South American nation, which is also said to want the stake in the Chilean producer, is a close partner of Tianqi. Albemarle owns a 49% stake in Talison Lithium, with Tianqi — China’s largest lithium producer — owning the other 51%. That relationship is seen as threatening for Chile because Talison is not only a major player in the market, but it’s also developing several lithium projects in Chile and Australia. If any of the two (Albemarle or Tianqi) grabs the stake in SQM, it would mean the world’s three top producers will own between 70% and 80% of the total market, Eduardo Bitrán, executive vice-president of Corfo, warned in an interview last month. “We don’t want that. It will create conflict of interest that will upset the interests of SQM, the interests of Corfo, the interests of Chile and that’s a problem,” Bitrán told FT.com. While the company’s chief executive Jean-Sebastien Jacques has not ruled out acquisitions in recent comments to the market, he has also noted the company would only consider opportunities that make a "smart buy". That’s why purchasing a stake in SQM would not be inconsistent with Rio's current strategy, Investec said in a note to clients in November, adding that such move would only provide a foothold in a sector where the company has some exposure, but with Jadar still many years away, "if it is developed at all". 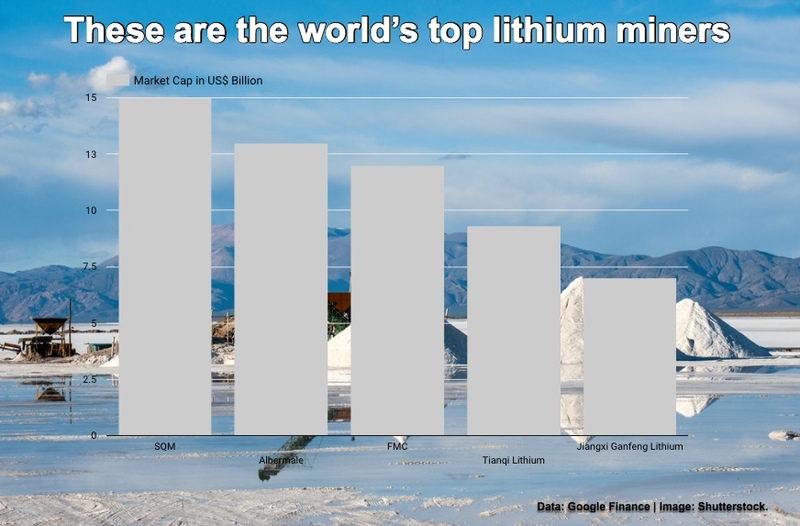 SQM, which has a market value at just over $15 billion, is expected to quadruple lithium production by 2026.